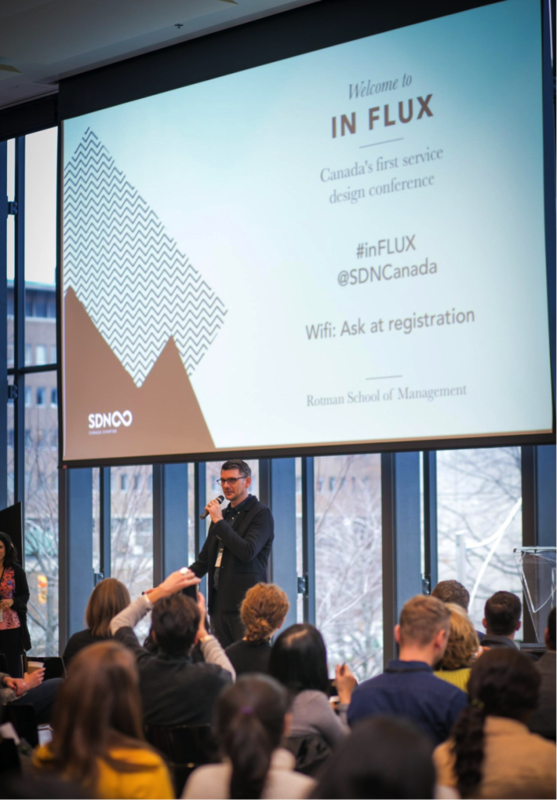 On December 1, IN FLUX, Canada’s first national Service Design Canada conference, brought together a sold-out audience of 300 service design practitioners, researchers, leaders, students and enthusiasts from across Canada to the Rotman School of Management at the University of Toronto. 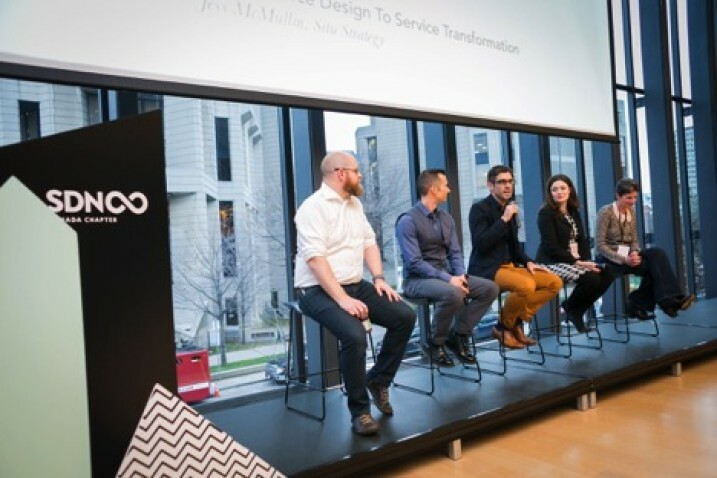 The conference marked the culmination of a landmark year in service design in Canada that started with the launch of the Canadian chapter of the Service Design Network and continued with local events throughout the year in Toronto, Montreal, Vancouver and Regina. Conference chair Chris Ferguson welcomes the sold-out audience of 300 to IN FLUX. 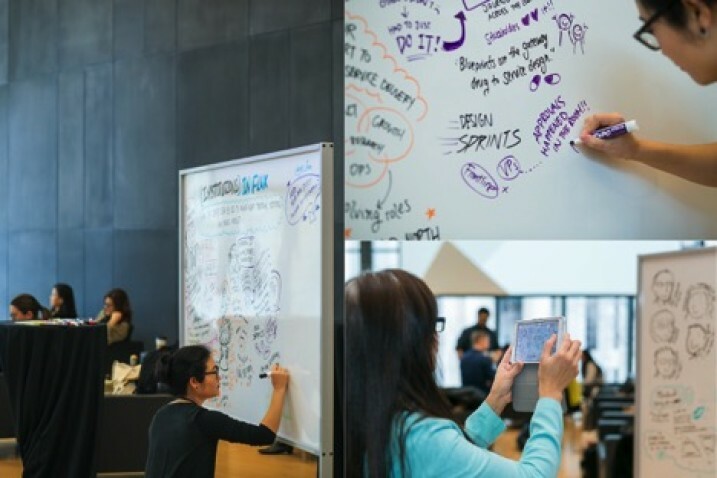 Systems designer Jessica Fan captured the all of the presentations and panel discussions in real-time, providing a visual summary of the ideas and themes of the day on massive rolling whiteboards that attendees explored, photographed and posted to social media. 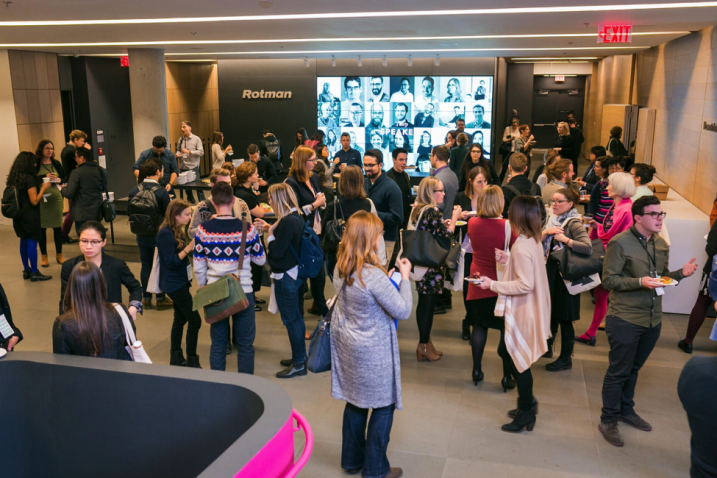 Presented by Rotman DesignWorks at the University of Toronto, in partnership with the Service Design Network Canada, IN FLUX attracted attendees from 8 of Canada’s 10 provinces - ranging from British Columbia on the Pacific Coast to Nova Scotia on the Atlantic Coast - and representing design firms, the private sector, government, non-profits and community organisations. Regulations IN FLUX speakers answering questions during the Questions & Answers session. 1. 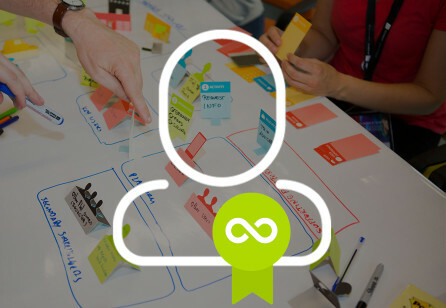 Institutions IN FLUX: Can Service Design be used to manage and adapt traditional institutions and business models? 2. 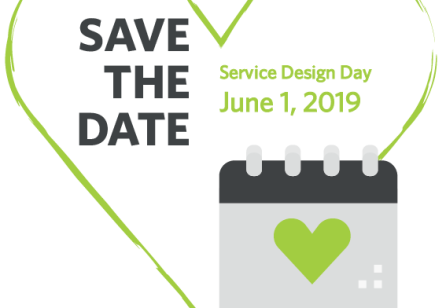 Practice IN FLUX: How do we communicate the value of Service Design? 3. 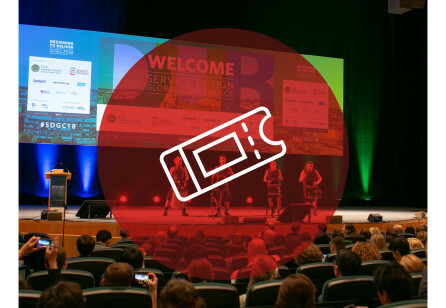 Regulations IN FLUX: Can Service Design provide a path forward amidst complex regulatory and policy changes? 4. 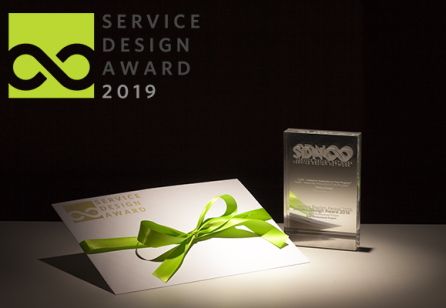 People IN FLUX: Does Service Design provide a way to understand and satisfy people's changing needs and expectations? IN FLUX attendees had lots of opportunities to connect with peers from across Canada throughout the day. 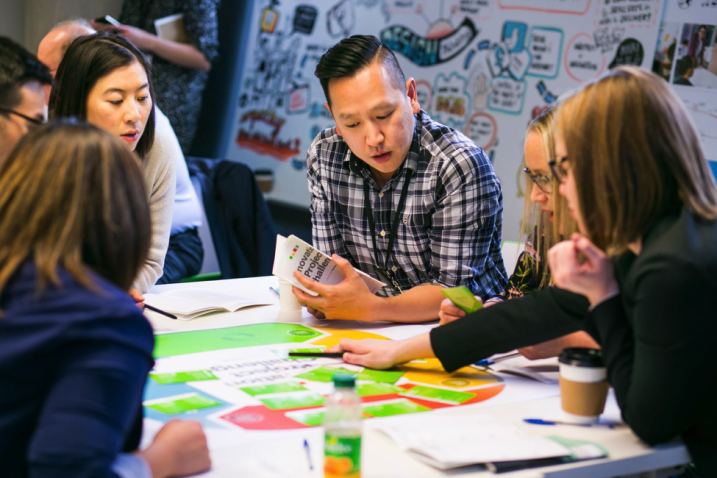 Participants colloborating during the Innovation Project Challenge workshop led by Simon Mhanna and Greg Judelman of The Moment.